This week Charlie looks at the H&M hoodie scandal and outlines the lessons BC professionals can take from the incident. I didn’t hear about the H&M crisis until recently, so I thought for this week’s bulletin I would share my thoughts on what we can learn from the incident. On 7th January, H&M put up a new item of clothing on their website. The advert featured a children’s hoodie with the slogan “Coolest Monkey in the Jungle”, modelled by a black eight year old from Sweden called Liam Mango. Over the next couple of days the picture was picked up on Twitter, where the advert was universally criticised. H&M apologised and withdrew the garment. In Europe the protest was mainly confined to social media, but in South Africa a number of H&M stores were trashed by protesters. So what can we learn from this crisis? The first thing you learn in crisis management is not to have a crisis in the first place. Yes, there is sometimes an opportunity to be had, but most of the time they cost huge amounts of management time, money and can have a detrimental impact on people’s lives. 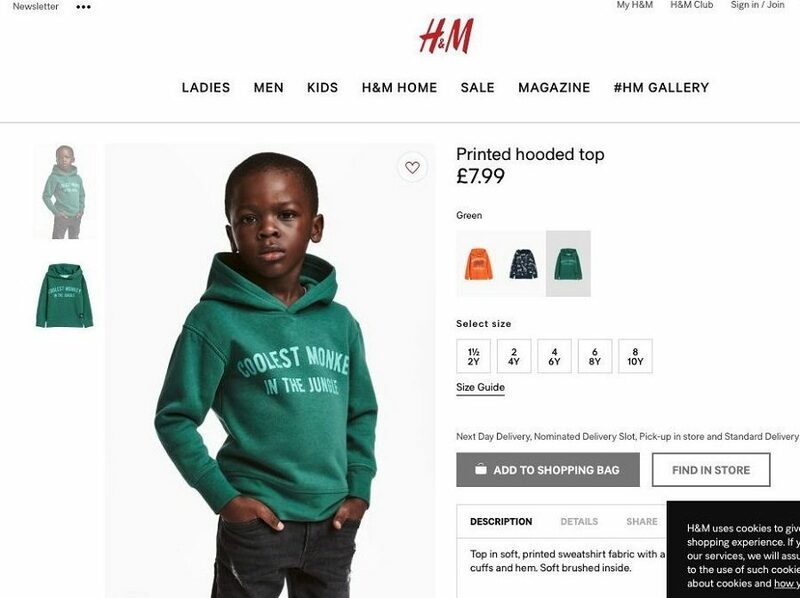 Why somebody at H&M didn’t spot that putting a black boy in a hoodie with the words “Jungle” and “Monkey” written in the slogan would be seen as racist, I don’t know, but it was a fairly crass thing to do. One of the learning points from this incident is that if you market on the internet, you need to thoroughly check for international sensitivities, as what is benign in your culture, may insult another. This should be taken into account even if the product is aimed at one particular market. As H&M are an international brand, they should have been aware of this. Racism is a particularly toxic issue and big international brands do not want to be seen as racist in any way. It was interesting that in all of H&M’s comments on the crisis, including the apology on their website, not one had a manager’s name against them. I presume the CEO or Chairman didn’t want their name associated with racism and consequently remained invisible, even to the extent of not putting their name to the apology. Due to the number of followers celebrities have, any event they comment on instantly becomes high profile and known to a large number of people. In response to this incident, NBA basketball superstar LeBron James expressed his anger on Instagram, rappers The Weeknd and G-Eazy both cut ties with H&M, cancelling their partnerships with the brand and Manchester United striker Romelu Lukaku modified the controversial slogan to read "Black is Beautiful", before posting it on his Twitter feed. Celebrities have powerful voices and people are much more likely to listen to them, than to the voice of your brand. If your crisis is picked up by a celebrity you must be prepared for the – I will use the German version - “Scheiß Sturm” which follows. When we are teaching crisis communications, we advise that you can communicate a message on the incident, but that message has to be backed up by some kind of action. It is difficult to prove that as an organisation you are not racist, so you have to do something to emphasise the point. H&M’s way of demonstrating this was to appoint a “diversity leader” to ensure a similar incident doesn’t happen in the future. In South Africa, members of the Economic Freedom Fighters (EFF) protested across the country and trashed a number of H&M stores. The EFF Deputy President, Floyd Shivambu, congratulated members for physically confronting racism. He proudly tweeted out photos of the damage done to H&M stores. I am not an expert on South African politics, but I suspect the actions of the EFF were more about internal South African politics than offence at a hoodie slogan. We must be aware that others may use your crisis as a bandwagon for their own political means. Perhaps there is little you can do about stopping it, but at least be aware of it and how it could unfold. 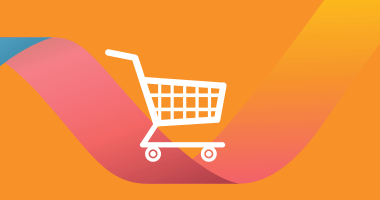 We have seen time and time again brands being involved in a crisis, such as Ryanair and Uber, but because the crisis had not affected the organisation’s promise to its customers, very quickly customers come back to the brand. When a product is what the customers want, at the right price, they have short memories. I discussed the hoodie incident with my daughter Amy (age 16), who said because H&M had apologised, she would continue shopping at their stores. Before this incident, the company was seen as an organisation which was on the downturn. The quarter before the incident, the shares slumped 13% after a poor last quarter of the year. We shall see whether this incident is a blip in the company’s history or accelerates its demise. Is this the end of Ryanair? Incident Micromanagement - Good or bad?